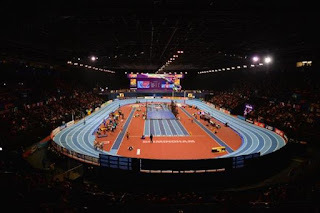 In this second post we have decided to talk about the 3000m Men final where many athletes were the possibles winners of the world indoor title analising the split of the podium and of the spanish A.Mechaal. A final it usually means a tactic race, but this one was more than tactic with a 3:09 the first km ! 3:09 is a slow pace for everykind of level in track&field but in these cases and in this competitions, a too slow pace makes the race more nervous where a lot of mentals energies has burned easily even. 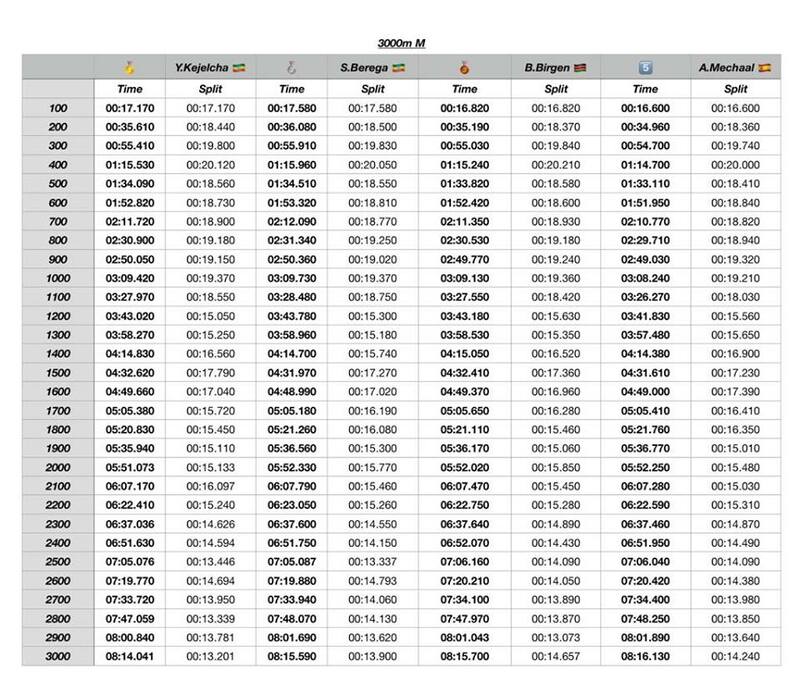 The second km has been covered in 2:42 and then a crazy last km started with Mechaal who has tried everything to took his first medal in a world championship after the 4th place on 1500m in London last summer. 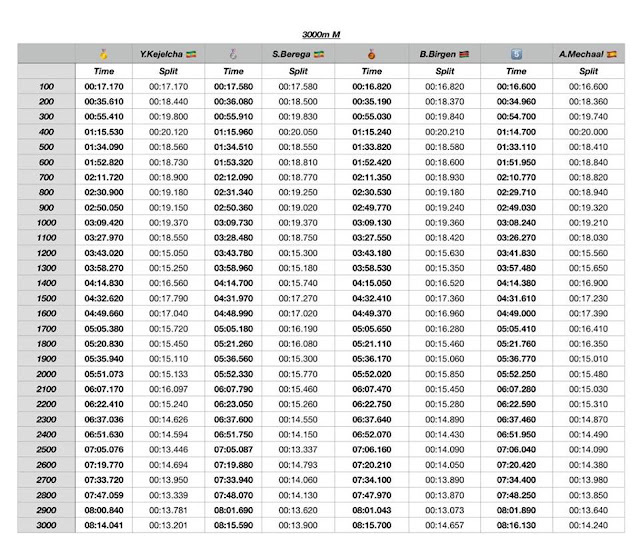 The ethiopian Kejelcha confirmed the world title won in the same distance two years ago with a last km in 2:23 and a last 400m in 54.64 with a good tactical capacity during all the race. In this kind of races the difference between a medal and another position can be made by the amount of nervous energy remained for the last part of the race and also be in the rigth place at the right moment without be too far from the lead when the race starts. Kejelcha can be for sure the next 5000m king in track&field without forgetting Muktar Edris who has beaten Farah in London on 5000m. Mechaal, after London, took a silver medal at Euro XC Championships and a 5th place in Birmingham: this summer it will be interesting in which race he will run to take the european title in Berlin after many good races at elite level.